Recently I wrote a post rather critical of the EmDrive, which supposedly defies the laws of physics. As a result I’ve gotten a flurry of emails criticizing me for being closed minded, or claiming that defending the status quo for financial gain. After all, Einstein overturned Newton, so perhaps I should show some humility and be open to new ideas. It’s a common accusation when I’m critical of the electric universe model and other fringe science. There is this view that scientists are like dogmatic clergyman who refuse to look into Galileo’s telescope. In reality, the reason we’re so critical of radical scientific ideas is that we’re actually looking for Narnia. In C.S. Lewis’s The Lion, the Witch and the Wardrobe, Narnia is a magical land where animals talk. 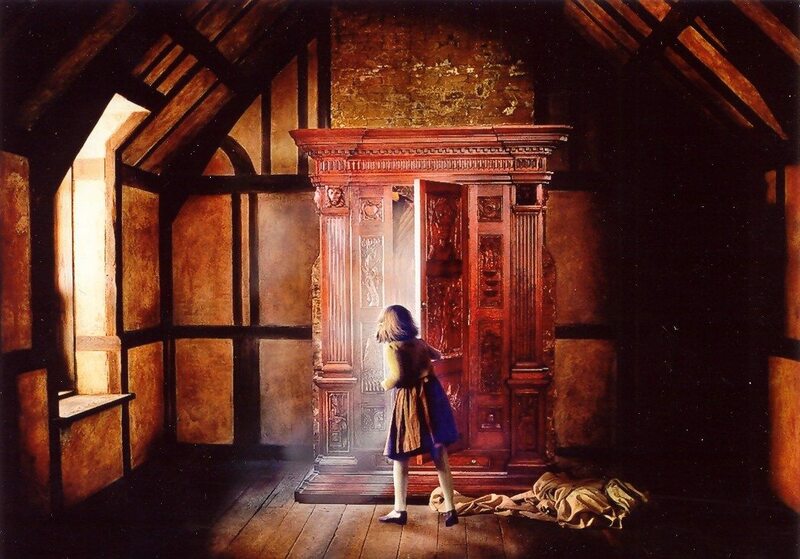 It is discovered when Lucy, the youngest of four children, discovers a gateway to Narnia in a magical wardrobe. Most of us would love to find a hidden magical world, but we have a pretty good understanding of how the world works, and it doesn’t involve wardrobes to other worlds. So when Lucy returns from Narnia to tell her siblings of her discovery, they naturally are skeptical. It’s far more likely that Lucy is playing a practical joke, or that her imagination has gotten the best of her. Of course eventually the other children enter Narnia as well, and Lucy is vindicated. Deep down most scientists want to be like Lucy. We want a great discovery that overturns some established theory. The joy of discovery is what drives us, and sometimes we explore scientific wardrobes. We really do want to find Narnia. But it’s because we want it that we’re so critical of wild claims. We don’t want to fall prey to a childish prank. So when something like the EmDrive comes along we rip it to shreds. We point out all the ways it could be an error, and all the ways the engineers could be wrong. But we’re also hoping the EmDrive can overcome all those challenges. As long as the work listens to the evidence and responds to criticism, we’ll always be rooting for it. We’re skeptical. We demand proof. But there’s a part of us that hopes Lucy will take us to Narnia after all. I have encountered people who believe that to be “open-minded” means to be “accepting” of anything that comes your way. If you provide counter-arguments or point out the flaws or uncertainties in their claims, they simply brand you as a “close minded” person. I think that the fact I care to study the subject and look for flaws (i.e. being skeptical of the claim) and spend time on providing a valid counterargument, is precisely *because* of me trying to keep an open mind. There is one kind of Narnia that observational astronomers can hope to glimpse: rare or unusual phenomena. And who knows, perhaps detailed follow-up will lead to a breakthrough in astrophysics? Some of these can be deliberately searched for, e.g. Lorentz violations evident in different arrival times of gamma vs radio, say, from a distant GRB. Others may come from serendipitous discoveries, at least some of which may be made by citizen scientists; for example, “Green Peas”, discovered by Galaxy Zoo volunteers, who also organized themselves to do the initial follow-up work. Who knew? These weird compact galaxies, or rather their ancestors, may have done most of the ‘heavy lifting’ in ending the ‘Dark Ages’ (i.e. ionizing the intergalactic medium, at z~7? )!